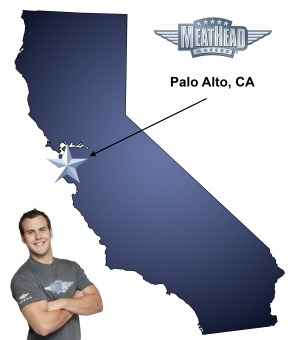 Meathead Movers is here to take care of the heavy lifting for you on your move to Palo Alto. Our clean-cut student athlete movers are ready to get you safely settled into your new Palo Alto home. The San Francisco Bay has a vibrant culture with booming businesses and ample recreational options. Because of this, it is not a surprise that countless people are drawn to the area both as tourists and potential residents. With over 64,000 people already call Palo Alto home and its ideal Silicon Valley location, it’s no wonder Palo Alto is quickly becoming one of the Bay Area’s most popular cities. Those interested in moving to Palo Alto, should choose the best Palo Alto movers, Meathead Movers, to ease the stress and disarray of the transition. Palo Alto has a long-documented history with cultural influences ranging from Native American tribes to early Spanish settlers. The most influential early resident of the area was Leland Stanford, who bought a significant amount of land and not only founded Stanford University but also pushed reforms for alcohol temperance throughout the city. While business and education are major parts of life in Palo Alto, the city also has various cultural offerings and recreational features. Many people enjoy the environmental diversity of Foothills Park or the Baylands Nature Preserve. The Junior Museum and Zoo is another popular attraction for those with families. While life in Palo Alto is sure to be enjoyable, moving day can be nothing but stressful. For those who wish to minimize that stress, Meathead Movers is a smart solution. With over a decade of experience, Meathead Movers is experienced in all types of moves. Whether it is a local move or a long distance relocation, Meathead Movers can help with packing, loading and transportation. In fact, Meathead Movers even has storage facilities available and can help with commercial moves. We also offer our distinctive moving concierge service, which connects you with local service providers. Many people may be rightfully wary of moving companies. After all, many movers are held to low standards. This is not the case with Meathead Movers. Employing primarily student-athletes, Meathead Movers invests time and money into training its movers. This means that all Meathead employees are expected to be prompt and efficient. To showcase this difference, all Meathead employees jog while not carrying your items to save you valuable time. Overall, Palo Alto movers can help make the transition to a new home easy and enjoyable. To see how Meathead Movers can facilitate your next move, get a free no-obligation moving estimate today. Moving to Palo Alto? Here are some helpful resources. View more Palo Alto resources. Positive attitudes and hard work! Meathead employees always are open and solutions oriented! Our movers, Tanner & Adam, were first-rate. Courteous, helpful, and such great attitudes - even when carrying nightmare pieces of heavy furniture! Toward the end of unloading, they asked several times to make sure that all of our boxes and/or furniture where were we wanted them because they'd be happy to move them. Tanner set up our queen-sized bed - what a treat! Hopefully, we won't have to move for a while, but I wouldn't hesitate to contact Meathead - and would ask if these two guys still worked there.